If adventure is what you seek during your summer holidays, you might want to try Affinia Shelburne NYC, an amazing holiday home situated at a distance of 800 metres from the iconic Empire State Building. 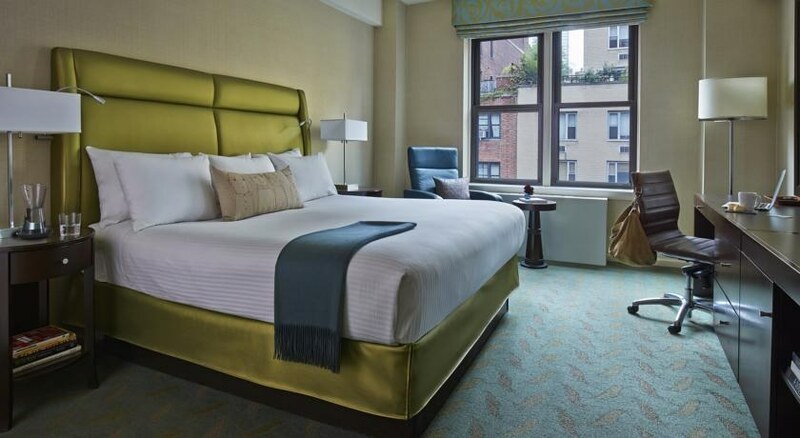 Centrally located in Murray Hill on Lexington Avenue, just a couple of blocks away from the Grand Central Station, this hotel puts you right amidst the action of the city. With a warm and inviting ambience, the hotel is the perfect place to spend the weekend in the city. Affinia Shelburne NYC can accommodate guests in its 325 plush rooms, equipped with flat-screen TVs, en-suite bathrooms and sleek kitchenettes. The on-site restaurant of the hotel is good for grabbing a quick bite as you enjoy the sights and sounds of Manhattan. 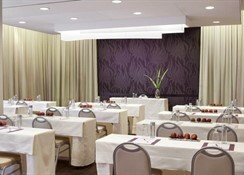 Affinia Shelburne NYC is situated at a distance of about 800 m from the Empire State Building. The nearest airport is La Guardia Airport, which is at a distance of 9.4 km. Times Square is just 1.2 km, while the famous Madison Square Garden is at a distance of 1.3 km. 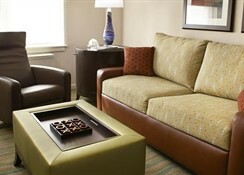 There are 325 guestrooms in total, divided into suites and rooms with one king-sized or two queen-sized beds. 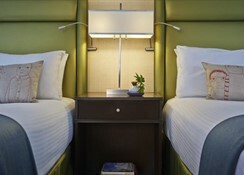 Each room features flat screen TV, minibar, private bathroom and sleek kitchenette. 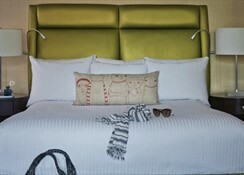 Also on offer are exclusive terrace suites with beautiful views of the city skyline. The on-site restaurant of the hotel, Rare Bar & Grill, serves breakfast, lunch and dinner. The bar also hosts a daily wine hour. You can also order from the comfort of your room. Moreover, there is also a seasonal rooftop bar called Rare View, which is functional from April through September. 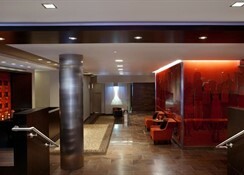 The Affinia Shelburne NYC has a fully functional gym to serve fitness-conscious guests. There is also a business centre, where you can hold your business meetings and conferences. 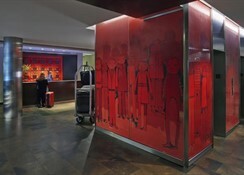 The hotel also has a tour desk to help you with your sightseeing. Spend a day soaking in the sights and sounds of Manhattan or visiting all the important landmarks in city – Empire State Building, Museum of Modern Art, UN headquarters, Times Square and so on.